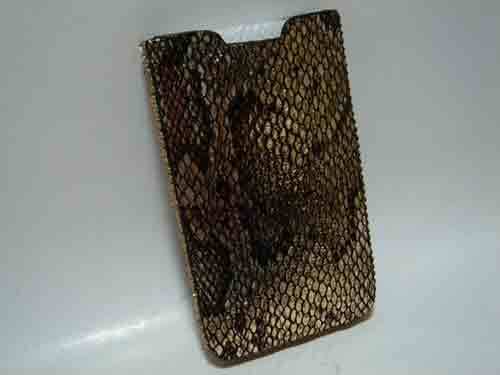 SNAKE EMBOSSED LEATHER CASE TO HOLD YOUR iPHONE. 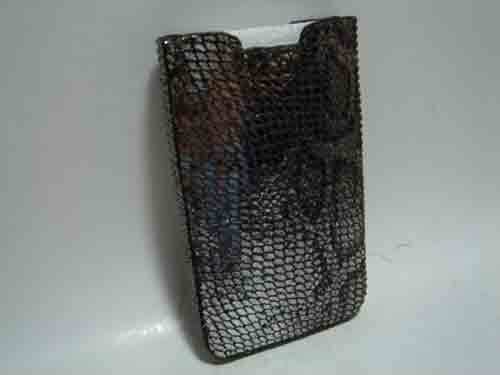 SWAROVSKI STONES GOING DOWN THE SIDES OF THE CASE ADD A TOUCH OF ELEGANCE TO THIS USEFUL GRAB AND GO CELL PHONE CASE. MEASURES 2 3/4" WIDE x 4" HIGH x 1/4" DEEP.